WALNUT-With many kids sporting new gloves after Christmas, the Second Annual San Gabriel Valley ‘Get to College’ Youth Baseball Clinic drew 464 kids from four to 14 years of age at Mt. San Antonio College Wednesday night at Mazmanian Field. The Classic at Damien’s four boys basketball tournaments include the Platinum, Gold, Silver and Bronze Division’s and all are 16-team knockout style tournaments. We’ll update each night and morning as results come in. Vista vs. St. Bernard, 8:30 p.m.
Santa Margarita vs. TBA, 7 p.m.
St. John Bosco vs. Etiwanda, 8:30 p.m.
Roosevelt vs. Dominguez, 4 p.m.
Riverside Notre Dame vs. Los Altos, 5:30 p.m.
Muir vs. Rancho Cucamonga, 3:30 p.m.
Bonita vs. La Canada, 5 p.m.
Charter Oak vs. Keppel, 6 p.m. Troy vs. Kaiser, 7:30 p.m.
Walnut vs. Peninsula, 6 p.m.
Covina vs. JW North, 7:30 p.m.
B1-C1 winner vs. A1-D1 winner, 7:30 p.m.
Bonita High School has decided to make a change in our Head Football Coach position. Making a coaching change is never easy, but it is an especially difficult decision when you know that a coach has given his all to our school. We appreciate the countless hours Coach Aguilar, his family and staff have devoted to the players and the football program at Bonita High School. Coach Aguilar will be remembered for his commitment to building character in our student-athletes. 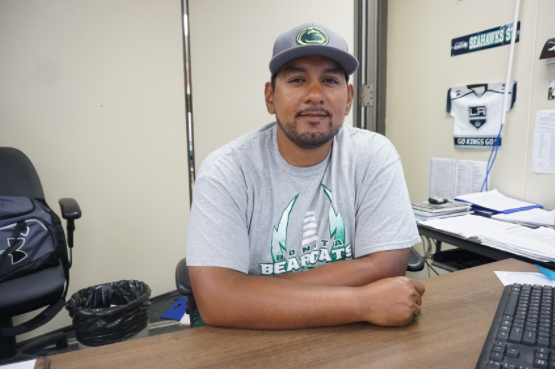 We wish Coach Aguilar well in his future coaching endeavors. Walnut vs. San Dimas, 6 p.m.
Charter Oak vs. Glendale, 7:30 p.m.
Renaissance Academy vs. Hollywood, 3 p.m. Village Christian vs. Renaissance Academy, 4:30 p.m.
La Canada vs. Bonita, 7:30 p.m.
Bonita vs. LA Marshall, 4:30 p.m.
Damien vs. Renaissance Academy 6 p.m.
La Canada vs. Sierra Canyon, 7:30 p.m.
South Torrance vs. Montebello at 3 p.m.
Arroyo vs. Glendale, 4:30 p.m.
Oak Hills vs. Duarte, 6 p.m.
La Canada vs. Sonora, 7:30 p.m.
Chino Hills vs. Upland, 7:30 p.m.
Palm Springs vs. St. Paul, 6 p.m.
Alhambra vs. San Gabriel, 7:30 p.m.
La Habra def. La Mirada, 7:30 p.m.
La Mirada vs. Monrovia, 6 p.m.
Glendora vs. Whittier Christian, 7:30 p.m. — Championship game. Rosemead vs. Temple City, 7 p.m.
Covina runs out of magic: One week after surviving a shootout and knocking off the top seed, Covina High’s football team lost in a shootout to Katella in the CIF Southern Section Division 11 championship game, 55-49, on Friday in front of an estimated 6,000 at Covina District Field. It was Katella’s (13-1) first championship in school history, and stopped Covina (11-3) from winning the school’s seventh title and first since 1995. With the game on the line and facing fourth-and-7, Covina rallied to the the score 49-49 on Nin Burns II’s 13-yard touchdown pass to Tristan Sprague with 2:24 left. 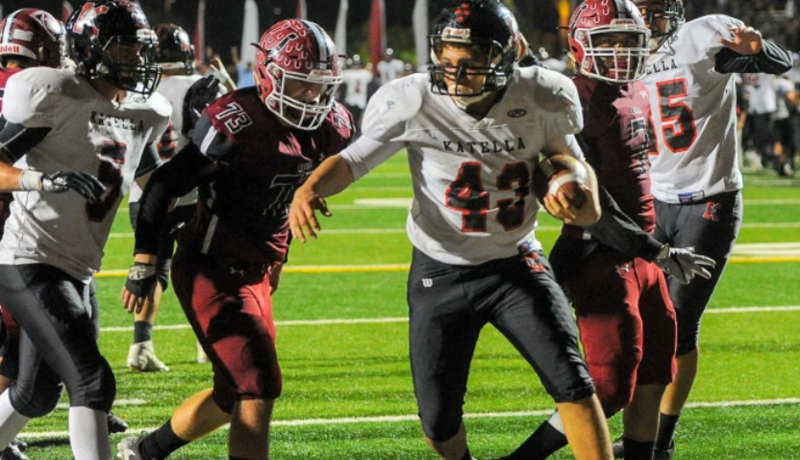 But Katella hurried the ball down the field and scored the game winner on fourth-and-goal with Miles Poland bullying his way in from 3 yards for the game-winning score with 22 seconds left. Late kick foils St. Francis football’s title hopes: It took St. Francis 53 years to make it to a CIF Southern Section championship game. It’ll have to wait at least another year to win one. 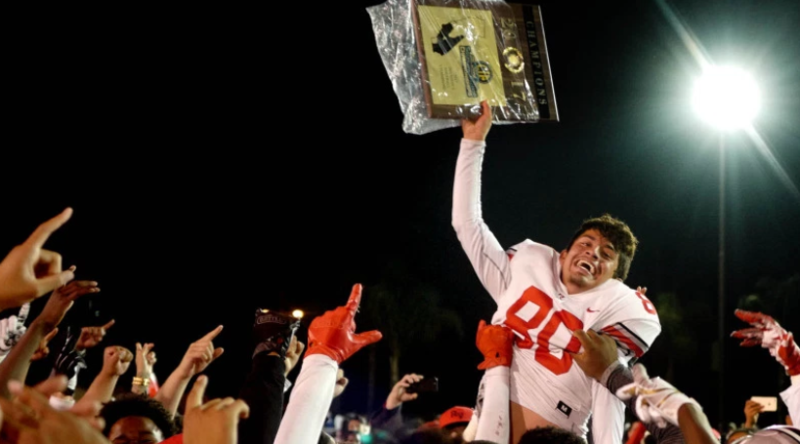 Luis Santiago connected on a 47-yard field goal on the final play of the game to give Rancho Verde a 44-42 win over St. Francis in the Division 3 final Friday night. Rancho Verde sophomore quarterback Brock White was absolutely sensational as he completed 22 of 37 passes for 510 yards and two touchdowns. The rushing attack for the Mustangs was solid as well as they rushed for 191 yards.It’s the first championship for Rancho Verde since 2011.